When Seisou Academy chose two students to attend an all-star music camp, Kahoko wasn't one of the lucky ones - but that didn't stop her! Working as a janitor on the camp grounds isn't exactly glamorous, but it's the only way to pursue her dream of mastering the violin. But can she really measure up to the ultra-elite musicians at the camp? 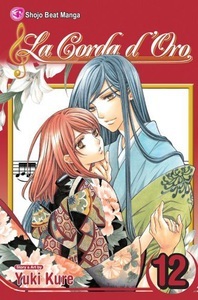 And what's the story behind Aoi, the weird (but handsome) new guy who seems to know everything about her?